Are you looking for a book that will make you laugh? Something well written and entertaining? 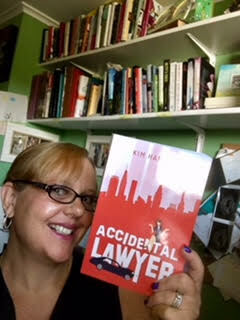 Look no further than Accidental Lawyer by Kim Hamilton. If you didn't catch my earlier interview with Kim, you should check that out too. She's as funny in person as she is in print - and us mini-van driving cool moms stick together - we are pretty entertaining if I do say so myself! Accidental Lawyer is entertaining yet full of suspense and even a bit of sexual tension (not the kind of sexual tension that makes your mama blush - totally PG). It's a fast read, and the plot twists keep you on the edge of your seat from cover to cover. The characters are easy to relate to and when you finish, you're hoping there's a sequel so you can find out where everyone goes from here. There have been some books where I've known a few chapters in how they'd end - this book is absolutely nothing like that. I won't give anything away, but I was surprised by the ending. Pleasantly surprised. Hamilton didn't waste a lot of time letting her own fun-loving personality stand out in her writing. The conversations are believable and will have you laughing. Who doesn't love a young female lawyer trying to make it in a predominantly male office? The friendships and camaraderie will have you smiling and sometimes wrinkling your brow (not unlike real life). Set in the brilliant and diverse city of Baltimore, Accidental Lawyer is a humorous, often irreverent portrayal of the dubious practice of personal injury law. 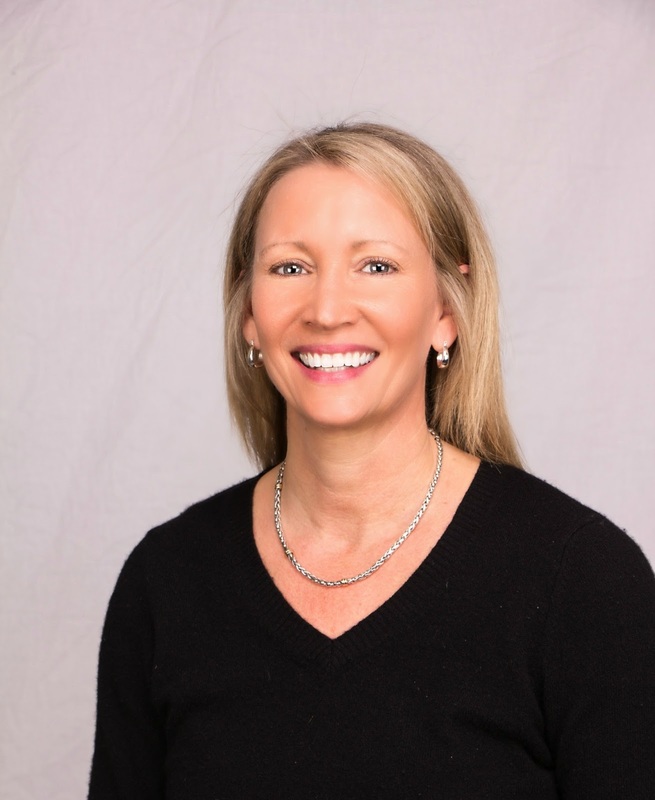 Jessica Snow has a crisp new law degree, a grinding ambition, and a pesky moral compass that is often at odds with her new job as an ambulance chaser. 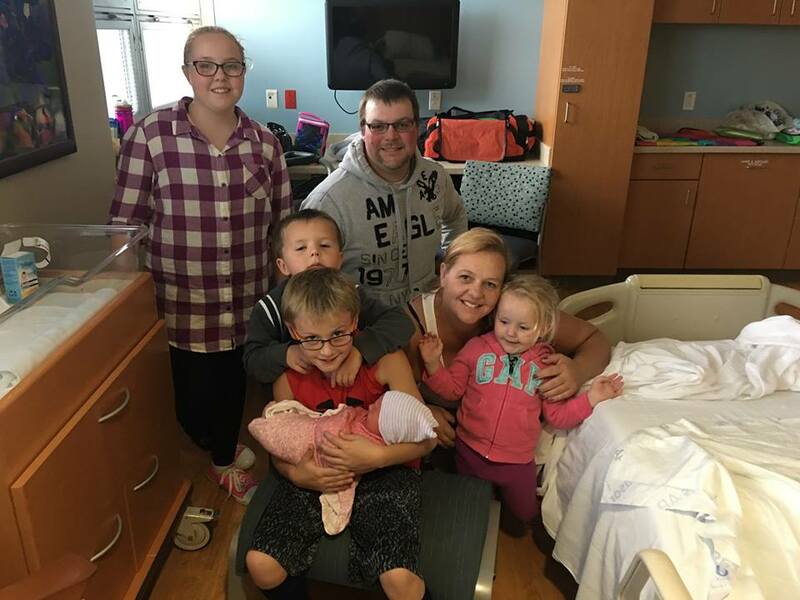 Her face and name appear on billboards and buses throughout the city, and if that isn’t enough to embarrass her mother, there’s a television commercial in the works. Her elevated professional status has her wrangling with a local mob boss, duping a drug dealer, and confronting phony clients. With the help of her bold and brassy sidekick, Kari, Jess develops a remarkable proclivity for this ignoble profession by wrapping up difficult cases and finding new business in unexpected places. When trumped-up murder charges are brought against her boss, she faces her biggest challenge yet—tracking down a killer. Along the way, Jess builds a new kind of family for herself, her own tribe, made up of friends, colleagues and clients, many of whom are sure to raise eyebrows at her mother’s dinner table. 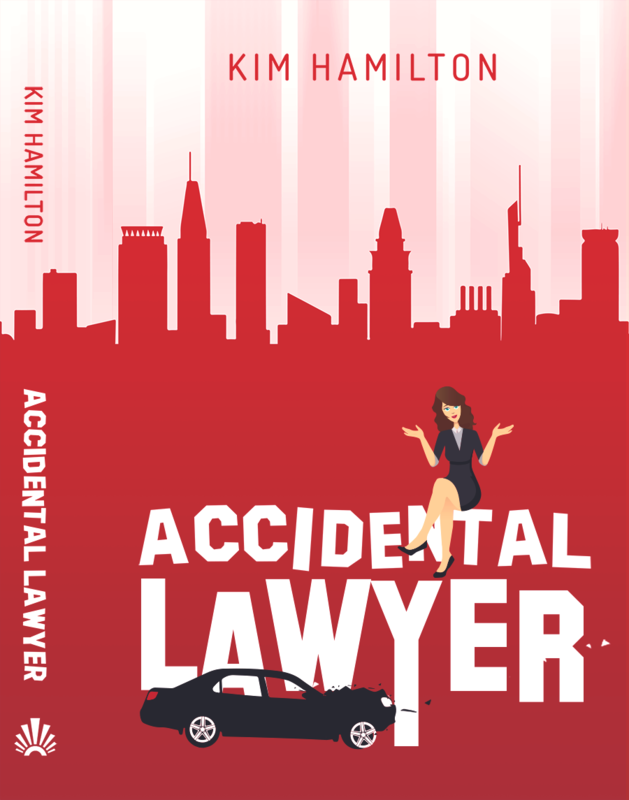 Accidental Lawyer is now available on Amazon! I believe that humor in all its forms is a handy weapon—a defense against unhappy, worrisome, aspects of life. It can be found in even the toughest situations if we look hard enough. And if we can find the courage to laugh at ourselves, all the better—it’s wildly therapeutic. That’s why I wrote Accidental Lawyer, to look back on a difficult time and see the humor. I practiced personal injury law on the streets of Baltimore for ten years. Being an ambulance chaser didn’t suit my professional or intellectual goals and it occasionally tugged at my ethics. A good sense of humor sprinkled with sarcasm and a hint of cynicism were my survival tools. The novel is a backhanded tribute to this profession and its unshakable stigma. It’s also a heartfelt bow to the otherwise, high-principled lawyers who wade in its murky waters. I live in the Baltimore suburbs with my husband in our partially empty nest. I have two accomplished daughters who make me proud every day. I consider myself a cool mom even though I drive a minivan, listen to a.m. radio and need help with my iPhone apps. When I’m not writing, reading or being sucked into social media, I watch sit coms and cooking shows, preferably with a chilled glass of pinot grigio at the end of a productive day. That's a cute photo of you with the book, Crystal. :) Thanks for the review! It definitely sounds like a fun book, and I love a surprise ending. Crystal--I'm with Angela. A surprise ending is a big plus, as far as I'm concerned.